Tests and quizzes are resources used for a long time in the classroom to evaluate student knowledge. Now, in the world of digital courses, online questionnaires are the deal. Online questionnaires are considered by many eLearning instructors as a vital part of the learning process. Although the student can cheat and search for the answers, its validity for those who take the study seriously is still great. Online questionnaires create the right attitude toward learning. Questionnaires can be effective guides for lectures or discussions. The questionnaires increase curiosity about the answers. Still, according to a study by Tania Leal of the University of Iowa, this form of testing increases student motivation and involvement. When your students see the positive results that begin to appear as they learn, they realize that they are making progress. In this way, the achievements proven through the results of the questionnaires inspire people to continue studying. This correlates with the results of a University of Vermont survey that shows that frequent tests decrease student anxiety as well as boost positive habits that bring better learning outcomes. In “Ten Benefits of Testing and Their Applications to Educational Practice“, the author details the benefits of the use of questionnaires, among which stand out: enable better knowledge organization, allow feedback to instructors and identify knowledge gaps. During the learning process, students should take breaks to review and understand what they have learned. Remembering what has already been studied is important for learning, and one of the best ways to do this is through a test. It is not obligatory to give grades because the goal is not to evaluate, but to provide a way for students to recap what they have already learned and test their knowledge. Online course instructors can use online questionnaires as a way to motivate students to study. Before starting a class, give the students a questionnaire with the main points that will be addressed during the course, so that they begin with a clear notion of what they know and what they do not know. This encourages them to pay more attention. When they realize that they do not know some answers, they are motivated to beware to find the answer when the subject appears. Remember that these questionnaires should be challenging, not necessarily complex. Their goal is to encourage students rather than make them feel stupid. Online questionnaires serve perfectly as a way of assessing what the student has learned. It would be the same as a normal test given during or at the end of the course. Give grades or points depends on the instructor and may be a good idea to further encourage the student to devote to studying. Those who get the highest grade, for example, can receive an award, such as a free module of the course. It is common for the individual to devote more time to learning something when he or she knows that it will be tested. If an award is made, as the example given above, the involvement becomes even greater, and students tend to meet deadlines and study harder for better performance. Although it seems not difficult to create questions for a test, you must keep in mind that your goal is to have a clear idea of the progress that your student has done so far. It is important to create quizzes that are challenging and encourage the student to want to know the answers, instead of impossible questions that discourage the student, giving the impression that he has not learn anything. Align the questions to a course goal. Use different types of questions, such as multiple-choice questions and questions that require written answers. Write clear and concise questions. Develop questions to encourage the student to think critically and deepen their knowledge to arrive at a correct answer. Next, we’ll see some of the softwares more used to create online questionnaires. Applying online questionnaires not only saves paper and time, but also allows students to answer them anywhere they want. With free software available on the internet, it is very easy to create well-crafted and attractive quizzes. Best of all, many of these programs are still able to evaluate the answers and record the results automatically, saving the instructor’s time and work. 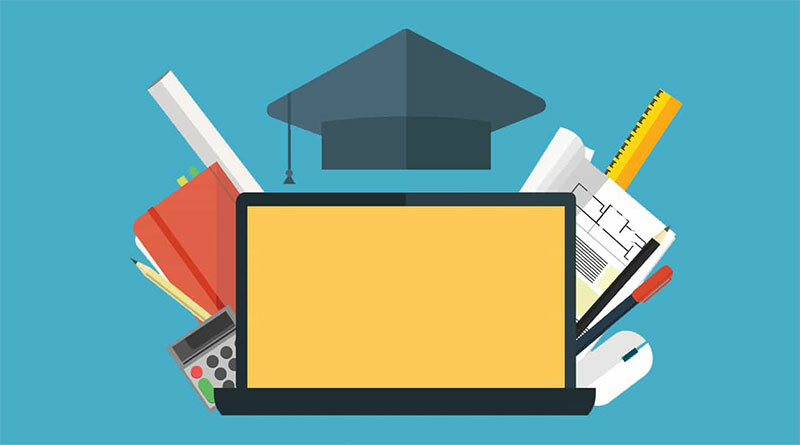 To help you choose the best software, we’ve put together ten well-talked-about options for teachers. Proprofs allows you to create custom online questionnaires, using colors and images, and incorporate these questionnaires on your blog or website. Its answer analysis feature enables you to track performance, rank students instantly, and issue certificates. The program features a free version and other paid versions with more features. Flexiquiz is a platform for creating simple questionnaires, with options to use questions of single choice, multiple choice, text questions and correspondence. You can add pictures and videos to the questions, as well as define how many points a question is worth. You can choose from a free version that allows you to create unlimited questionnaires with limited questions in each, or a premium version that allows you to upload media and have unlimited questions. Quibblo is a social network where you can create online questionnaires and surveys, view the results on a graph and compare your answers with others. While most quizzes are done on the site, Quibblo quizzes can easily be added to your Facebook profile, Instagram, etc. or on your WordPress/Blogger blog. Free tool developed by Google, the program can be used to create quizzes and online questionnaires with multiple choice questions, checkboxes, etc. You can also add pictures to the questions. To administer the quiz, add it to Google Classroom, email it, share the link with students, or embed it directly into your course website. Mentimeter uses interactive slide presentations to evaluate student knowledge. You can create a slideshow with multiple choice, image choice, or open answers. This program is designed for real-time use and works best with informal questionnaires. Well complete, EasyTestMaker generates online questionnaires for free. The program allows the construction of multiple-choice questionnaires, completion, free text, correspondence, and true/false questions. With the free plan you can create up to 25 tests. If you decide to administer an offline test, you can download the document as a Word or PDF file. Fairly used, ClassMarker enables you to create public or private online questionnaires. The tool allows you to easily define multiple quiz settings, such as test duration, random questions, instant feedback, choice of various types of questions, custom certificate creation and automatic sorting. You can apply 100 tests (each participant counts as one test) per month for free. The QuestionPro offers free tools for teachers and companies who wish to create questionnaires and track participants’ progress. The program allows you to create various types of questions, such as multiple choice, questions with pictures, free text and more. In addition, it makes it possible to track students’ progress and generate reports in real time. With multiple features for creating satisfaction surveys, QuestionPro addresses multiple needs. Free tool, QuizStar is part of the 4Teachers collections. Easy to use, just set up a class, create a quiz, apply the quiz and analyze the results. Students should create separate accounts and log in to the class to view and respond to tests. It is a simple yet effective platform. The Online Quiz Creator offers a free plan that allows users to create multiple-choice quizzes, free text, and fill in the blank questions. You can apply 15 questions per quiz and you are entitled to one hundred participations per month (each student is a participation). Questionnaires are designed to function as games, with a scoreboard displayed on each test to encourage students to give their best. 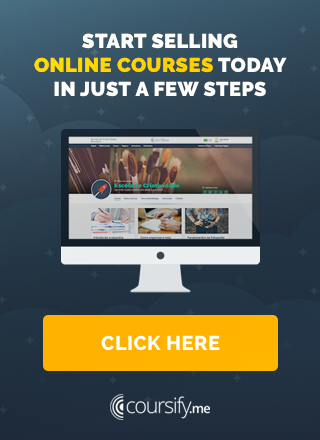 Most of these software, besides creating questionnaires already come with the function of incorporating them into websites and social networks, which is great for publicizing your online course. Use online questionnaires in Distance Education allow you to create more dynamic classes that involve students while you evaluate their knowledge. Using programs to create these quizzes makes everything easier, but do not forget that the content is your responsibility. So be aware of the questions asked as they should allow you to check the students’ performance to the fullest. Questionnaire creation software will not do all the work for you, but they can be a solid tool to help you structure your course and vary your assessment methods. Quizz created, just choose the best platform to host your content and allow your audience to have easy access to the material. ELearning platform (LMS), Coursify.me has all the necessary features for you to integrate and import content from your computer, Dropbox, as well as channels such as Vimeo and YouTube. Present in more than 60 countries, Coursify.me is a complete eLearning platform, perfect solution for you to start your own business without investing anything for it.